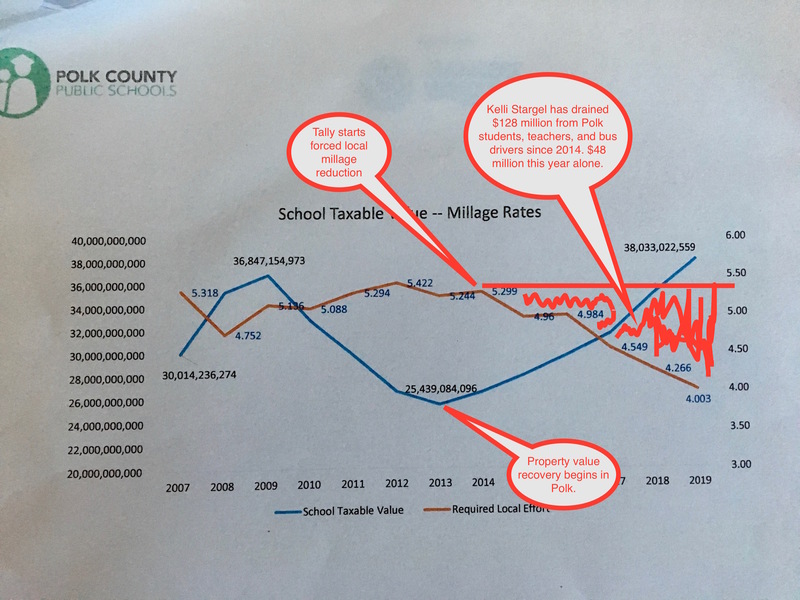 Take a moment to consider the fascinating and encouraging historical juxtaposition of Polk County’s two school construction and maintenance half-cent sales tax votes. Here are the key paragraphs from The Ledger’s 2003 story about the original election to create it. Note the numbers in bold. The final tally from Tuesday’s low-turnout election was 22,336 votes, or 59 percent, to approve the tax and 15,714, or 41 percent, opposing the tax. The turnout was 13.9 percent of the county’s 273,789 registered voters. Only a May special election in 1989, also on a school issue, had a lower countywide turnout — 13 percent. That’s a total of 38,040 votes cast in the 2003 special election. Now, take a look at the results from 2018’s vote, which was forced, legally, to occur as part of a general election. And this general election happened to become one of the highest turnout, non-presidential races ever. It’s a general political rule-of-thumb that special elections are easier to win than general elections for tax referenda. I’m not sure I agree with that conventional wisdom in any case. But in this case, it’s clearly wrong. Click to enlarge. To summarize: 230,968 votes cast in 2018, to 38,040 cast in 2003. That’s a more than 600 percent increase in votes cast. And the percentage margin of success grew, significantly. 68 percent to 59 percent. Nine percentage points is an impressive jump. An unofficial assessment of other school tax referenda shows that ours sales-tax renewal enjoyed the widest approval margin of any in the state. Board Member Lynn Wilson and PAC leaders like Ashley Troutman and Alice Hunt deserve great credit and thanks for their work and support. 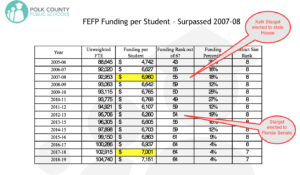 And, of course, the people who work in our district, under the leadership of Superintendent Byrd, created the environment that made this result possible. They all have my thanks. But I must confess that this result is particularly gratifying to me, personally and professionally. In the last two years, I’ve practiced a much more assertive and public oversight approach than my colleagues or predecessors. I don’t think there is much debate about that. And there was a brief period of time when some concerns bubbled up to me that talking so publicly and directly about problems I saw with the district and board would jeopardize the Sales Tax vote. I hinted at that feedback in this essay supporting the Sales Tax renewal. I also think, perhaps, an unspoken element of [this] very fair question relates to how I see and perform my oversight and leadership role on the board. In short, is my public oversight writing compatible with full-throated support of the sales tax renewal? I took this input seriously. I take all criticism seriously. I tried to think hard about public perception. I tried to avoid unnecessary repetition of critiques. And I redoubled my efforts to express support for what our people accomplish every day as a district. I was very active and supportive of the Sales Tax campaign, both in my time/effort and my money. But I did not stop what I was doing, as a search of the record will show. 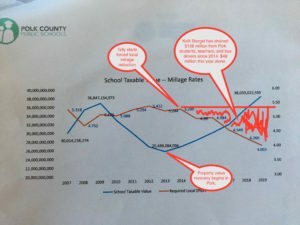 Thus, the Sales Tax referendum provided a test of sorts for my core hypothesis about governing as a School Board member: if we engage the public and tell them the truth openly about our successes and challenges, if we share the point-of-view of our teachers and bus drivers and other core employees, the public will respond and help us. Even if the truth we share is sometimes uncomfortable. I trust that the public understands it’s no small task to educate 105,000 children with vastly varying needs and circumstances. It’s a particular challenge when the state leaders with true power deny communities the resources needed to provide the level of service the public demands. I believe the public can handle this truth; and I’ve tested that belief with some pretty tough, but fair, public critiques of internal and external issues — all of which I stand by today. And I’m grateful that the spectacular result of the Sales Tax vote suggests that the public will not penalize us for talking openly about the many public education challenges we face as a community. I think people prefer serious oversight and engagement to fake unity. Is the Polk public more constructively engaged with education than it was in 2015? Moreover, I would argue that my approach has helped build public support and engagement by being transparent and honest about the reality of public education in Florida and Polk. Indeed, this week saw the spectacle of Bill Thompson, The Ledger’s public education-indifferent editorial writer, and Chad Davis, Kelli Stargel’s top guy, publicly cheering a misguided $10,500 raise for our highest paid employee (more on that in a second). When those two guys are cheering on wasteful district spending, I think one can argue that the engagement/support needle at all levels has been pegged at a higher level than in the past. Indeed, I think this election cycle shows that the Power Class of Polk County is far, far more engaged in education than it has been in years — and apparently more willing to help. I’m going to take some credit for that. And I hope to steer this general support toward a more productive form of spending and actually running the district like a business — or at least an organization that prizes constructive self-criticism and continual improvement. You can see her speech starting at 6:50 and my short response later at 29:30. As always, I welcome political competition. But be prepared to compete. I am. And understand this: with the overwhelming election of ESE expert Lisa Miller (57 percent) and 33-year teacher Sarah Fortney (61 percent), I promise you that assertive engagement will outlive me should the public decide not to return me to office in 2020. That was my number one local political goal as a candidate and board member who endorsed other candidates: help create a board culture of public and staff engagement that would outlive me if I prove “too Billy” to survive in 2020, which is always possible. This notion that I wanted some docile block of board members that I could direct with my nefarious brain-control powers was always deeply silly — even if I somehow had the power to deliver that. That notion is deeply offensive to the sweat and blood of everyone who was willing to engage in public political competition for the good of their community and school system. It also reveals great ignorance about the nature of School Boards and how they interact with staff and state government. Mrs. Fields was part of a three-person bloc of long-term board members that I saw as a massive obstacle to a more professional, innovative, creative, and caring board and district culture. She isn’t part of that bloc any more because that bloc is gone. The other two members decided not to run for re-election. And the public resoundingly chose outstanding replacements, both of whom I happened to endorse. That is the generational change I was hoping for. I make no apologies for it. And I think anyone who attended Tuesday’s meeting could feel the different energy coming from the new board. I hope Mrs. Fields chooses to be part of it. I know I will welcome her; and I feel certain my colleagues will too. Indeed, in the aftermath of her hard-fought win, I was super-encouraged to read this in The Ledger. That’s basically the radical Billy Townsend platform. I’m excited to collaborate with Mrs. Fields and everyone else to make it a reality. Either way, the other six board members are moving forward, as the new meeting structure we discussed indicates. Is this a turning point for the Polk Power Class? Unfortunately, the record of the last decade or so shows that our legislators are completely unwilling or unable to work with us in any way to enhance the funding or experience of public education. And board members have been all too willing to just accept that as reality. However, the Polk political establishment/power class that rallied around Mrs. Fields has the clout to help change that, if they choose to use it. Believe me, I would love, love, love for Kay Fields and her supporters in Polk’s power class to actually deliver results for once for the kids and people of our school district. I will praise them for it, if it happens. That is a briar patch into which I will happily jump. Trust me. 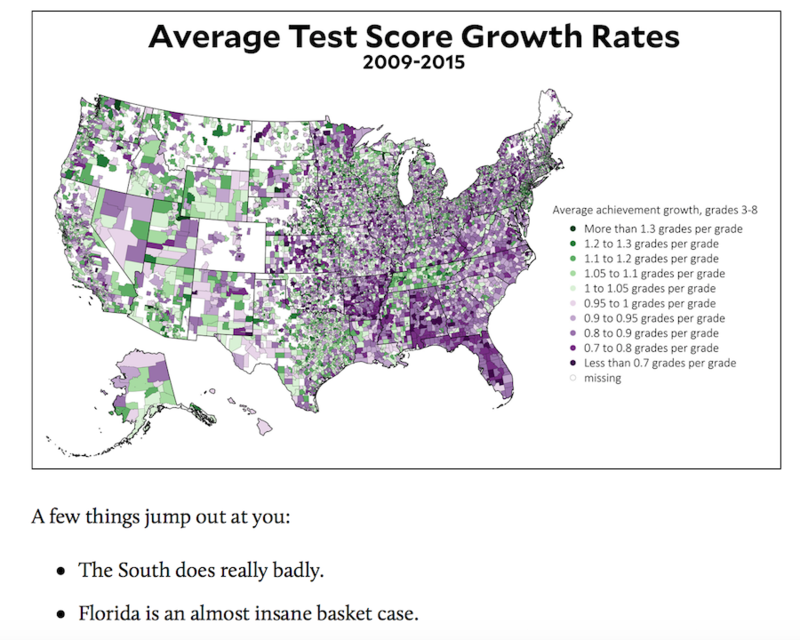 Until now, our leaders inside and out of education in Polk County and Tallahassee have a very poor record holding state government leaders to account for anything — or getting any positive results of any kind from them. Perhaps this will mark a turning point. If so, I’ll take some credit for that, too. My other big goal was to help transform us from a board that creates and ignores problems into a board that identifies and solves them. If you want to see an account of a board and leadership culture that creates and ignores problems, rather than identifying and solving them, you can see it in this article. I assure you that the leadership culture on display in that article is what got Billy Townsend elected in the first place. It far predates current leadership. And we still have much work to do to fully fix it. Sarah Fortney and Lisa Miller are going to be outstanding in that regard. Unfortunately, the old board created one last problem in its last meeting by giving a $10,500 raise to our highest paid, least economically insecure employee. The old board did this at the same time that we will be imposing major hikes in insurance costs on our employees because the old board and leadership failed to pay attention over time to the state of the insurance plan. It did this after the election of a governor who is very likely to strangle money to public education and force major cuts and/or layoffs here in Polk. The old board gave this raise at the same time that our number one problem is teacher and bus driver shortages and internal organizational morale — as Mrs. Fields’ post-election priorities demonstrate. Much of that morale problem comes from economic insecurity and the daily demands imposed by leadership of all kinds. I can’t see how piling $10,5000 more onto the pay of our most economically secure leader advances any of Mrs. Fields priorities. Nor do the people in our organization that I’ve talked to. Moeroever, it was completely unnecessary within the Florida superintendent marketplace. You can see that fact illustrated in a interactive scatterplot infographic of superintendent salaries in districts relevant to Polk. Follow this link to see and play with it in detail. 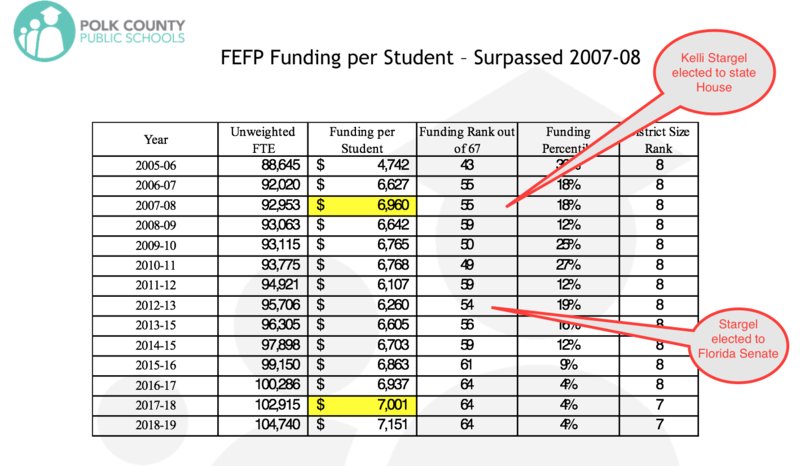 Bottom line: we were on the median in what we paid the superintendent before, when you control for enrollment and funding. We’re on the median after the $10,500 raise. That money is meaningless as anything but a symbol. And it’s a bad symbol. In my opinion, the raise illustrates the problem at the core of the Polk District’s culture of problem-creation: elected and non-elected leaders have long failed to escape their leadership bubbles and listen seriously to the experiences and points-of-view of both the public we’re educating and the core employees who do the work everyday. This far predates Superintendent Jackie Byrd, who, for 8,000th time, I do not want to fire. I want to help her live up to her full potential as superintendent. I have said this in public, in print, and in private to her face and the deputy superintendent’s face. I don’t really know what else I can do. One either believes me or not. I have a record of truthfulness to assess. I see some encouraging signs that this culture of problem-creation is starting to change. I believe the new board will accelerate this change. And we have much work to do, starting now. I hope Mrs. Fields chooses to be part of it. In any event, as we head into Thanksgiving, I’m extremely thankful to you, the public, for listening and engaging and joining me on the crazy, important ride. I hope you’ll stay on board. I can’t wait to see what this generationally changed board does. Thank you for your service to our students and community.